American's Death Still A Greek Mystery, 65 Years Later : Parallels George Polk was a CBS correspondent covering the Greek civil war when he was murdered in 1948. Three men were convicted of involvement, but now an ex-prosecutor wants to reopen the case. 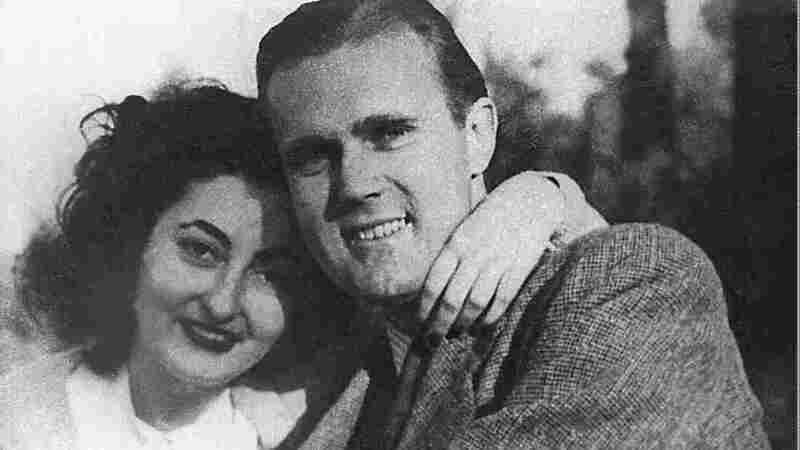 CBS correspondent George Polk and his wife, Rea, in 1948, shortly before his murder on May 8 of that year in Greece. George Polk may have been born to make history. He was descended from the American president who led the conquest of Texas and much of the Southwest. But for George Polk, Texas was too small, says his brother William. In the 1930s, "Texas was a little backwater at the time, and very few people even knew where other countries were — what the names were, what the languages were that were spoken," William Polk says. "And he had a tremendous sense of curiosity." "The Greek Civil War was a kind of precursor to the American involvement in Vietnam," says William Polk, younger brother of George Polk. So George Polk became a journalist, reporting from China, Japan and France. During World War II, he served as a fighter pilot in the Pacific and was badly wounded. After the war, he watched the trial of Nazi war criminals in Nuremberg, Germany. "He had the remarkable experience of sitting just a few feet away from Hermann Goering and the various other leading Nazis," William Polk says, whereas during the war, "he had been in a foxhole in Guadalcanal, where a Japanese soldier tried to kill him with a knife." George Polk was determined that the world not fall back into the grip of fascism, his brother says. And that's one reason he was attracted to Greece, his base for broadcasting as the CBS radio correspondent for the Middle East. In the late 1940s, Greece was the front line of the Cold War. Communist guerrillas were fighting a right-wing government in a bloody civil war. More than 158,000 people died, and more than a million were displaced. Polk suspected Greek officials were, at the very least, stealing aid money from the United States. 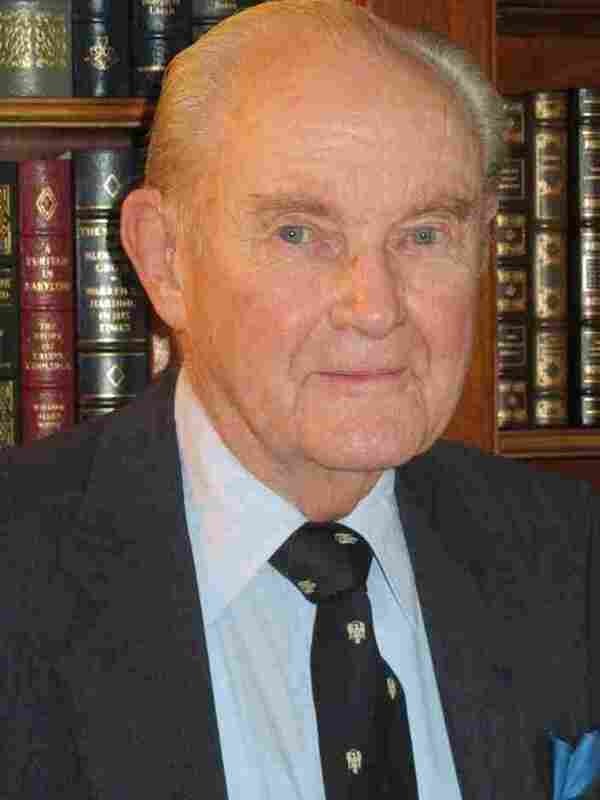 "He found that what the Greek government at that time was doing, and what it was like, was not the kind of government he fought to save during World War II," William Polk recalls. The Greek government was so unhappy with George's reports that they asked CBS to reassign him (CBS refused). He got death threats and was constantly followed. Undaunted, he traveled to the port of Thessaloniki in the embattled north. A few days later, a fisherman found his body floating in Salonica Bay. He was blindfolded, hands and feet bound, with a bullet wound in the back of the head. George Polk was 34 years old and had been married to Rea Kokkonis, whom he'd met in Greece, for just seven months. The Greek government blamed his murder on the communist rebels. In a trial the following year, two were convicted in absentia. A third man, a journalist named Gregory Staktopoulos, confessed to involvement. But William Polk wasn't buying it. "The Greek justice system failed miserably in the Polk case," says retired prosecutor Athanasios Kafiris. "The trial was a joke," he says. "The defense attorneys never raised any of the issues they could have raised. They never called witnesses they could have called. It was like a Soviet show trial." William Polk was then just 19 and had dropped out of Harvard to find out what really happened to his older brother. He wondered whether a secret organization called X may have been involved. Then he started getting death threats, too. And he received no help from Americans, who supported the Greek regime. "The American government at that time said, OK, it's corrupt, OK, it's deceitful ... but it's our group," he says. "We can't deal with the communists." The U.S. government seemed content with the verdict. And the man accused of involvement in the Polk murder, Staktopoulos, went to jail for more than a decade, until he was pardoned. But until his death in 1998, he never stopped professing his innocence. 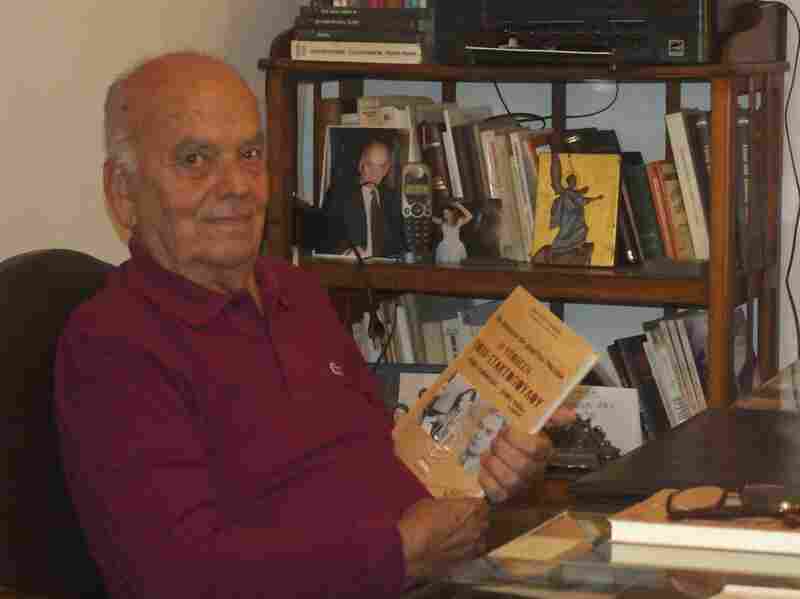 Staktopoulos also wrote a memoir that alarmed writer and Princeton University professor Edmund Keeley. "He described in detail how he'd been mistreated, how he'd been beaten, how he'd been held in police headquarters in Salonica under terrible circumstances," Keeley says. "He was forced to make a number of confessions, and the confessions changed as [the authorities] found new evidence that did not corroborate what they'd made him confess before, so he had to confess again. It was clear he had been railroaded into confessing things that he hadn't done." Keeley wrote the definitive book on the Polk murder and investigation, The Salonika Bay Murder, published in 1990. Several more books on the case, in both Greek and English, have come out since then. The latest is by a retired prosecutor named Athanasios Kafiris. He'd first heard about Polk when he was a sixth-grader in a rural school in the Peloponnese. "All we knew about the story then was that communists had killed an American journalist," says Kafiris, who now lives in Athens. As the case faded away, ignored by a succession of Greek governments, Kafiris never questioned this narrative — until 2002, while serving as a prosecutor on the Greek Supreme Court. The widow of Staktopoulos asked Kafiris to help her exonerate her husband. It was the family's fourth appeal. It did not take long for Kafiris to conclude that Staktopoulos — and the other two men convicted for Polk's murder — were scapegoats. But the Supreme Court, once again, rejected the appeal. He resigned from his post as prosecutor in protest. Kafiris, now 75, is trying again. He's enlisted the help of another prosecutor as well as his publisher, Angelos Sideratos, who's trying to make a documentary about the still-unsolved Polk case. Kafiris says Greece must right this wrong and face its past. The social turmoil in Greece today is not just a product of the deep economic depression, he says. It has its origins in a bloody civil war that pitted families and friends against each other. "What's happening in our country today is directly related to the civil war," he says. "The rise of neo-Nazis like Golden Dawn, for example, that's a result of deep hate that still exists after so many years." William Polk is now 84 years old and a noted scholar of the Middle East. He agrees that overturning the verdicts in his brother's murder case could be cathartic for Greece. But he doesn't expect it will help him find out what happened to his brother. "The documentation has now all been destroyed, illegally I should say. It was supposed to be in the national archives, but it has been 'lost,' " he says. William Polk says that would have galled his brother, who believed that "the message is the really important thing. If the public doesn't receive the message, it cannot be responsible as a citizen. And therefore democracy and freedom simply will wither away." George Polk is buried in Athens. Shortly after his murder, the George Polk Awards, honoring brave journalism that lays bare the truth, were named in his honor.